​Vocal Associates Artistes is a group of versatile and talented singers who receive regular solo voice training from Ms Khor Ai Ming. The vocal group has the ability to perform in a variety of genres including Opera, Art Songs, Musical Theatre, Pop and Jazz. In 2013, eight members of Vocal Associates, all students of artistic director Khor Ai Ming, won five 1st prizes and three 2nd prizes at the American Protégé International Music Competition. This achievement marks the first time in Asia that a group of competitors of this size has won top prizes under the same voice teacher. Subsequently, all eight were accorded the honour of performing at New York's prestigious Carnegie Hall, and two in particular won the Best Performer award. The group performs regularly, putting up annuaI recitaIs at respected performance venues in Singapore such as The Arts House and The Esplanade. VA was also featured as a special item at the distinguished Singapore Business Awards in May 2011. Vocal Associates charmed an international audience at the Edinburgh Fringe Festival in July 2012. The original musical, FAYBULOUS, composed by Dr Tony Makarome Yue, saw its second staging in Edinburgh. The light-hearted children's musical received favourable reviews from the Edinburgh media and proved to be a fulfilling experience for the singers involved. Vocal Associates has been actively involved in community outreach activities under People's Association, including PAssionARTs Hotspots performances and Community Singing Festivals in various parts of Singapore. Vocal Associates proudly participated in Chingay 2013, performing the Opening Theme Song 雪中⽕火⽕火 for the Prime Minister and the President of Singapore, written by the Cultural Medallion recipient Mr Iskandar Ismail. This year, Vocal Associates was invited again to perform the theme song 花同⼼心⼼心 for Chingay 2014. 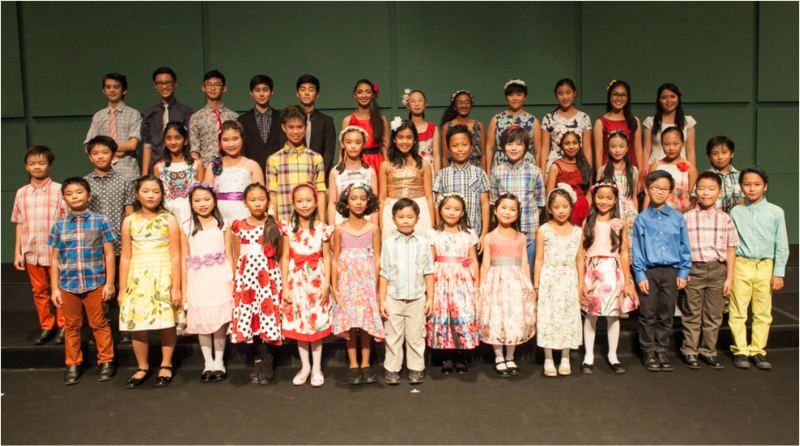 In December 2015, 11 solo singers from Vocal Associates, aged between 7 to 16, garnered 22 Awards (First Prize, Second Prize and Best Performer awards) for theAmerican Protégé International Vocal Competition, and were given the honour to perform at the prestigious NYC Carnegie Hall on 19, 20 and 26 December 2015.